The Festival de Musique Ancienne de Callas will present from July 16 to 25, 2017, superb works of baroque Italian music interpreted by prestigious ensembles. 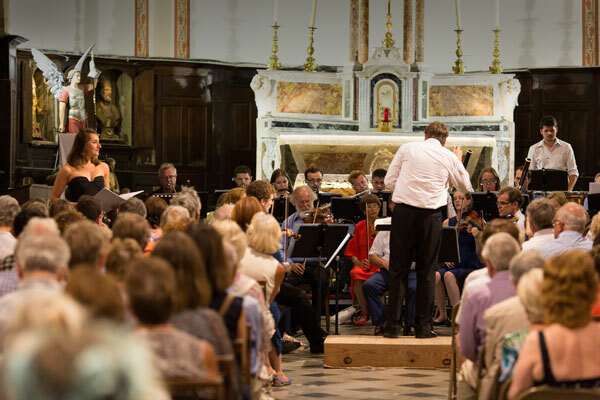 The ensemble will perform Pergolese‘s Another Stabat Mater, re-orchestrated for 5 soloists and 7 instrumentalists, based on an unpublished manuscript preserved in Lyon, with traditional Neapolitan polyphonies and tarantellas. Composed of singers and instrumentalists specialized in the interpretation of the 18th century vocal repertoire, the Concert de Hostel-Dieu comes back to Callas under the direction of Franck-Emmanuel Comte. Florilèges for Castrats by the Baroque Ensemble of Monaco, who will perform in duet and solo the most beautiful tunes from the fascinating world of the castrats with 2 solo singers and 5 instruments. 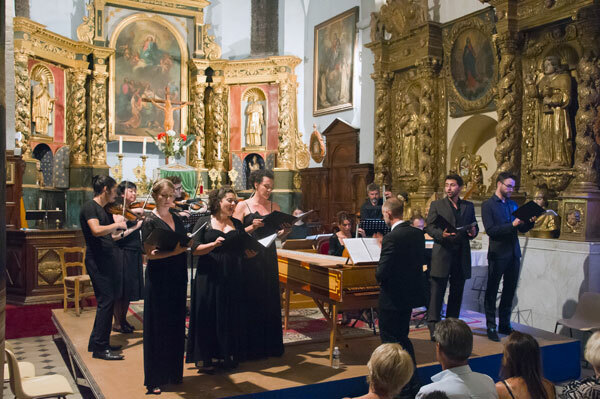 Faithful to the Baroque history of the Principality, the formation defends the most beautiful pages of the XVII-XVIIIth century repertoire, and recreates works from European baroque music, that by hundreds, forgotten or unrecognized, remain to be discovered. Folies and Vivaldi performed by the Ensemble Les Passions which will offer various lights of the famous theme of the Follia with 8 musicians, including Jean-Marc Andrieu on the recorder. 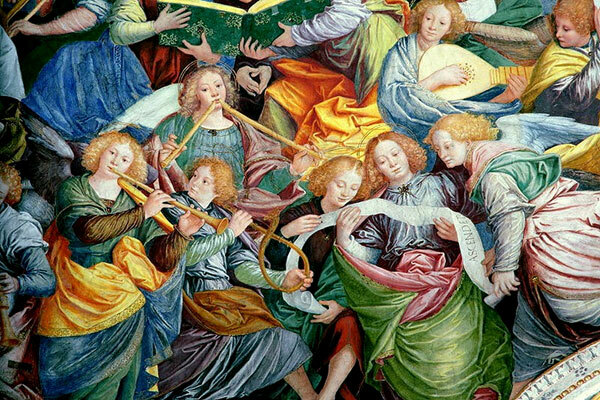 Created by the renowned flutist Jean-Marc Andrieu in Toulouse in 1986, Les Passions – Baroque Orchestra of Montauban, is an ensemble specializing in the practice of period instruments; the number of instrumentists varies according to the music interpretations. 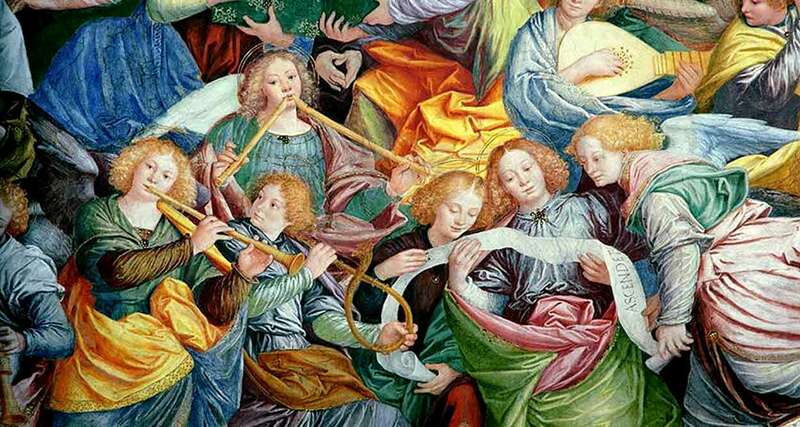 Gloria and Magnificat – 2 major works by Vivaldi by the Ensemble Les Zippoventilés, including 3 soloists (soprano Lisa Magrini, alto and tenor), a choir of 12 singers and an instrumental ensemble of 7 instrumentists with Flavio Losco, 1st violon and Étienne Mangot on the viola de gamba. 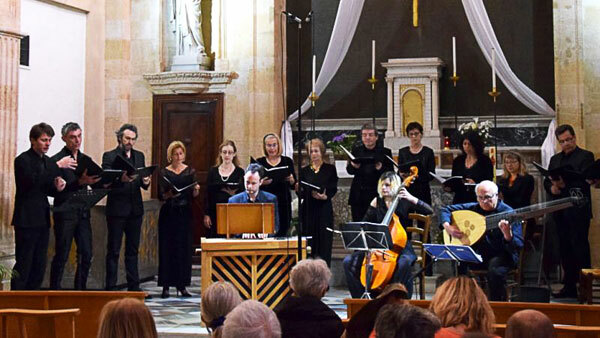 Created in 2013 by the organist Benoit Dumon, Les Zippoventilés, a formation established in Cassis, explores the repertoire for vocal soloist accompanied by an instrument as well as works for choir and orchestra on ancient instruments. 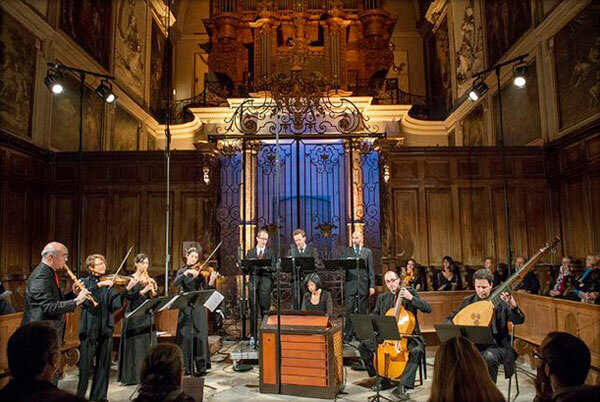 The Ensemble Parnassie du Marais will plunge into oriental influences with soprano Lucille Pessey and contre-tenor Maximin Marchand, lute, harpsichord, percussion, which will describe the festive atmosphere in the baroque Venice, Venice Gate of the Orient and a stopover on the Silk Road. Created in 1986 and directed by harpsichordist Brigitte Tramier, this ensemble with variable geometry interprets works from Renaissance and baroque on ancient instruments, exploring both the great works of the repertoire and the little-known pieces. 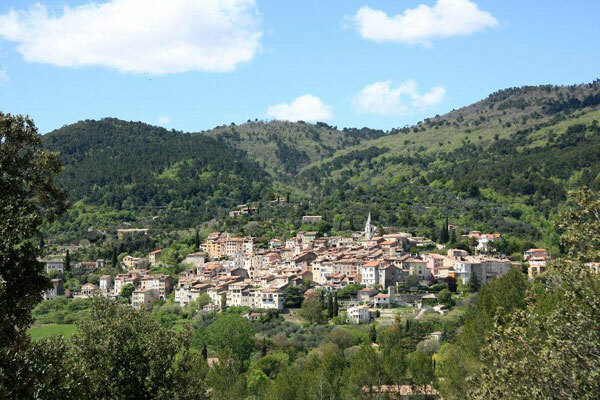 Perched between sea and mountains on the hills of Provence, surrounded by a terroir dedicated to the vine, Callas is a first stage on the route to the Gorges du Verdon. In addition to the Callas Ancient Music Festival, the village owes its notoriety to the famous Hostellerie des Gorges de Pennafort and its starred chef Philippe Da Silva, a haven of peace and gastronomy in an exceptional landscape overlooked by the Chapel of Pennafort, place of an annual pilgrimage. In addition to a quality restoration, gastronomy and art de vivre are well represented in the village: the Moulin de Callas presses a famous virgin olive oil, Médaille d’Or in Paris. Gold Medal also for the à l’ancienne Vinegar Cru Confidentiel by the Vinaigrerie du Clos Saint Antoine, soon presented in an old restored chapel of the 12th century. Finally, equally famous, the wines from the Bastide du Plan, Gold Medal also, sublimate the dishes for the gastronomes of the region. 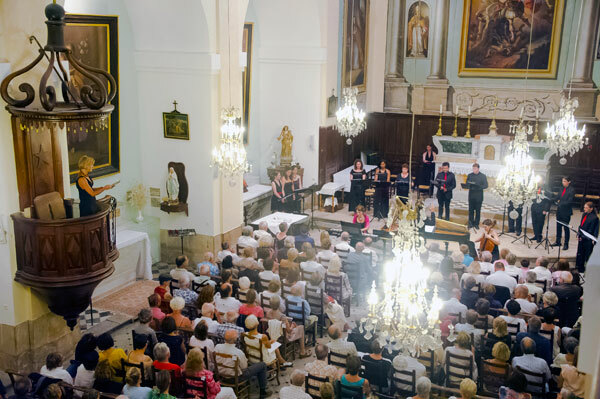 This year, an exceptional concert will be performed on August 10th in Callas at 9pm by the Musique Cordiale International Festival of Seillans, in partnership with the Festival de Musique Ancienne de Callas. 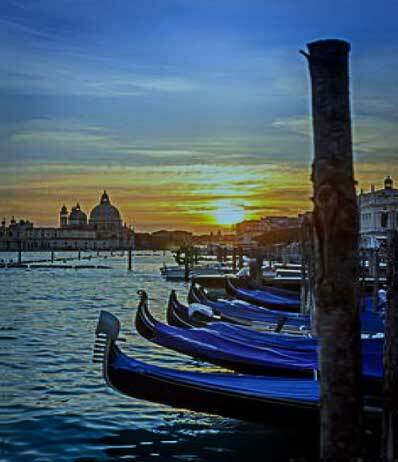 This is the “Vespers of the Virgin” a prestigious work of Monteverdi under the direction of Graham Ross. Admission: 20 € / 30 €, free for children.